Romans 11:1-36 tells us that “The Good Olive Tree” is comprised of both Jewish and Gentile believers in Jesus the Messiah. 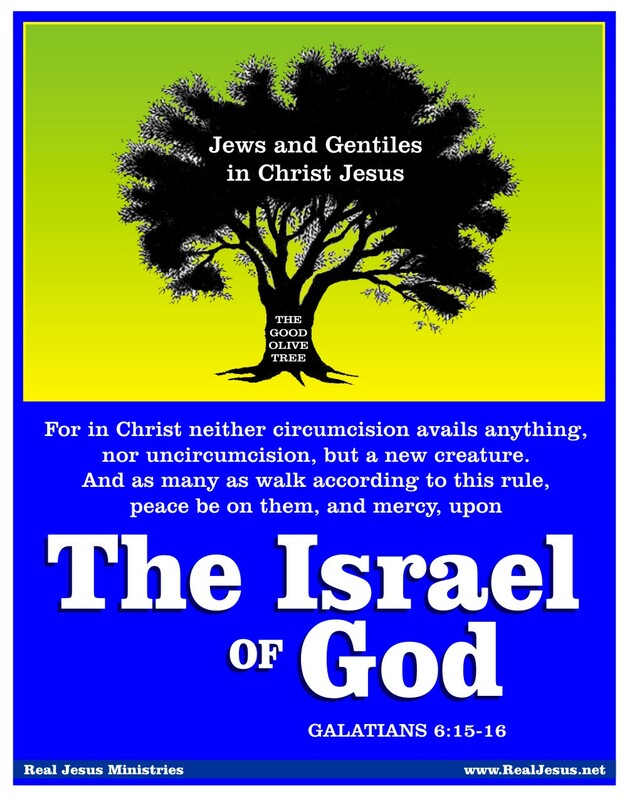 The Jews are the natural branches, and the Gentiles have been grafted-in to become a part of the same tree. Together, they have become the true Israel of God today. Metaphorically, we also bear upon our bodies the marks of the Lord Jesus (i.e. the stripes on His back from being whipped, the nail-scarred hands and feet from His crucifixion, and the stab wound on His side). Under the New Covenant, the new Israel of God is the church of Jesus Christ. Regardless of race or nationality, every follower of Jesus who walks according to this principle has become a “new creation” and joint heir with the people of God. 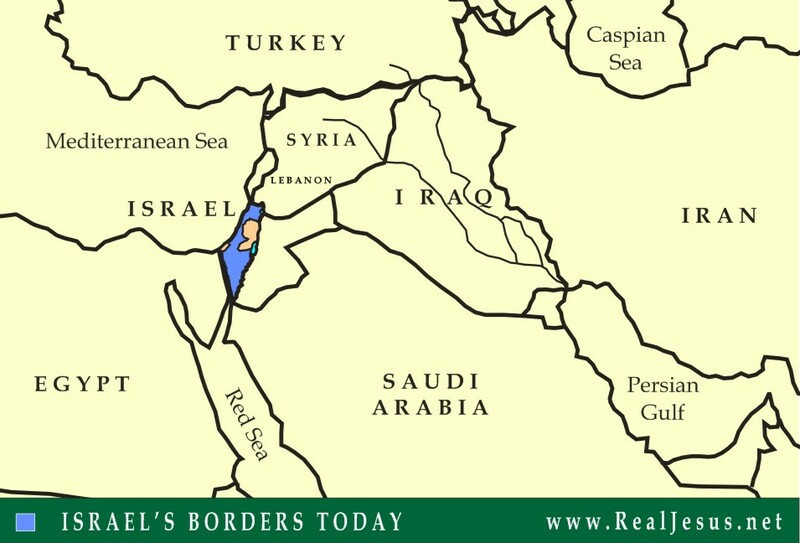 All New Covenant believers are blessed with peace and mercy as God’s true Israel. Categories: Uncategorized | Tags: all nations, covenant believers, Galatians 6:15-17, Gentiles, God, Holy Spirit, Jesus Christ, Jews, Messiah, nail scarred hands, New Covenant, one in Christ, Religion, Romans 11:1-36, theology, True Israel of God | Permalink. Born-again believers in Jesus Christ [Messiah], whether of Jewish or gentile origin (it matters not since we are now “one in Christ”) celebrate Hanukkah each year with a different meaning. Hanukkah is more than lighting candles, giving gifts, and enjoying a special dinner with family and friends. 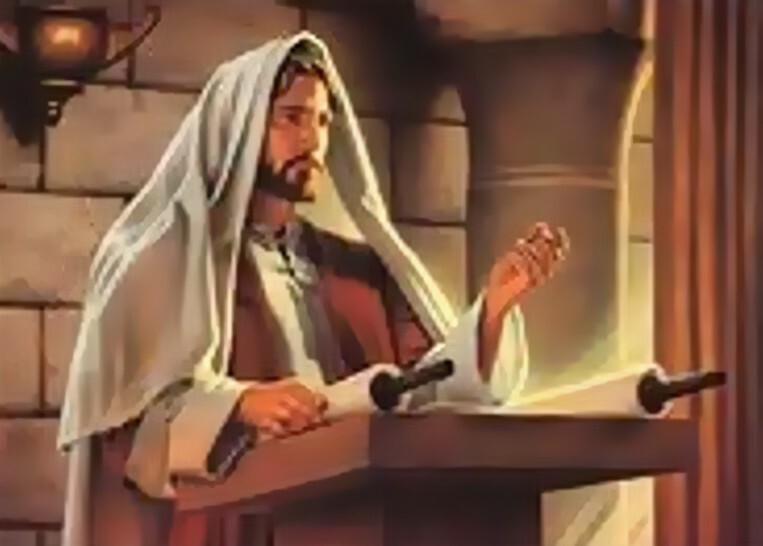 It’s about re-dedicating your life and body, the temple of the Holy Spirit, to serving Jesus Christ [Messiah] for another year with renewed faith, love and devotion. ”What? Don’t you know that your body is the temple of the Holy Spirit which is in you, which you have of God, and you are not your own? For you are bought with a price [The sacrifice of Jesus]. Therefore, glorify God in your body, and in your spirit, which belong to God.” – 1 Corinthians 6:19-20. Categories: The Seven Biblical Feasts | Tags: 1 Corinthians 6:19-20, Celebrate, Christians, Gentile, God, Hanukkah, Holy Spirit, Jesus Christ, Jews, lighting candles, Meaning, Messiah, New Covenant Significance, Religion, temple of the holy spirit, theology, Yeshua | Permalink. 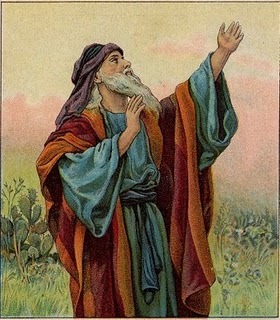 Messianic Prophecies in the Book of Isaiah fulfilled by Jesus. In this series, we are taking a look at the Messianic prophecies in the Book of Isaiah that were fulfilled by Jesus of Nazareth who came to save, redeem, and reconcile both Jews and Gentiles to God. Categories: Uncategorized | Tags: Book, Fulfillment, Gentiles, Isaiah, Jesus, Jews, Messiah, Prophecy, Yeshua | Permalink. 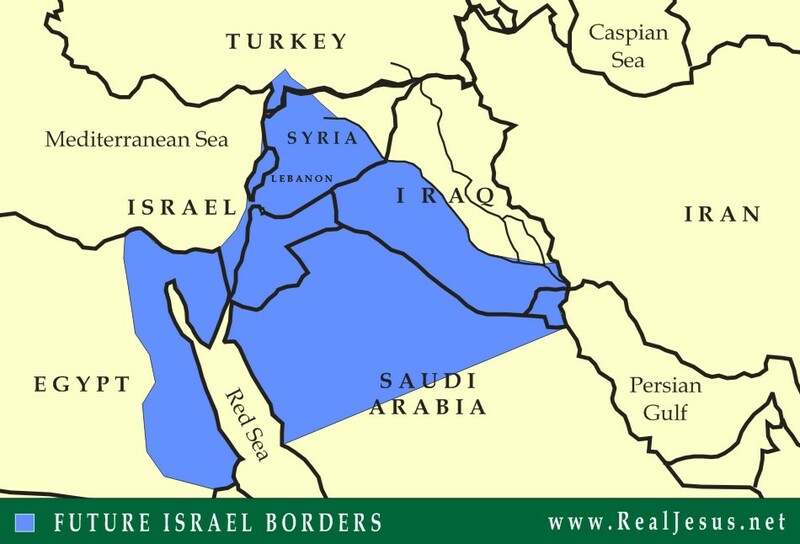 The contiguous relationship between Israel and the Christian Church. Dispensational Theology has misinterpreted much of the Bible and created a great deal of confusion within the Church. But when we study the Bible as a whole – without dividing it up into pieces (and thereby coming up with erroneous assumptions), we will find that it flows very nicely throughout the ages and helps us reach the right conclusions regarding the contiguous relationship and common heritage of Israel and the Church. For instance, the Abrahamic Covenant in Genesis 12:1-3 was given to the Father of the nation of Israel. Yet it continues to be the source and wellspring of blessing for both Jews and Gentiles. Every spiritual blessing that the Christian Church enjoys today comes out of this covenant with the first Hebrew man. Therefore, it should not seem strange or unusual that the observance of the Seven Biblical Feasts of Israel should also apply to Christians as well. God’s Holy Days were not only given to bless Israel, but also the Christian Church that was birthed as a result of our God’s New Covenant with both Jews and Gentiles through Jesus the Messiah. As we shall see, God has a great plan in mind for all humanity, which He will only reveal to those who discard their man-made religious traditions and open their minds to His divine purposes. We encourage your questions, comments and prayer requests. Email us at: RealJesusMinistries@gmail.com. Categories: The Seven Biblical Feasts | Tags: Christian Church, Common heritage, Dispensationalism, Feasts of God, Genesis 12:1-3., Israel, Jesus Christ, Jews, Messiah, New Covenant | Permalink. The Antichrist will unite all world religions into one and cause all who follow him to be condemed forever. 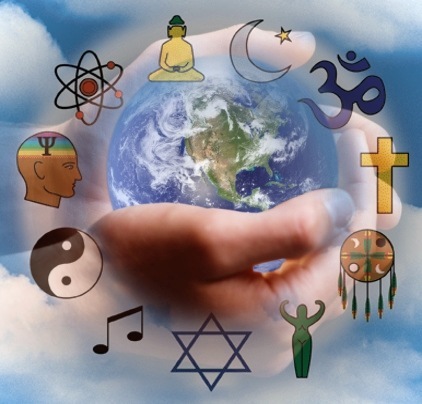 Years ago before I received Jesus as my Savior and Lord, I experimented with other religions – Hinduism, Buddhism, New Age Metaphysics, the Occult, and others. One of the common threads of all these false religions was the prevalent teaching that “All paths lead to God. It doesn’t matter what you believe as long as you believe in god.” Nothing could be further from the truth; there is only ONE GOD and only ONE WAY to find Him – through Jesus Christ His Son. When I became a Christian and began to closely study the Bible. I realized that I had been deceived for many years by these counterfeit religious ideologies that had claimed to show me the way to God. Even today, I often come across Muslims, for instance, who tell me, “You and I worship the same god. “Allah” is the same god as your Christian God.” I quickly correct them, “No He is not! The God of the Jews and Christians is not the same god you Muslims worship. The true God, Creator of the universe is not Allah, but Yahovah. You are worshipping a false god, I’m sorry to say.” Muslims usually get offended when they hear this, but the truth is often hard to swallow. Afterwards I always pray for their blinded eyes to be opened. God’s way is narrow. Jesus is the only way. Yahovah God sent His only begotten Son into the world to be the sacrificial Pesach (Passover) Lamb that can take away our sins and reconcile us to the true and only God. You can follow some other (false) god if you wish, but there is only one true way to God – through His Son Jesus Christ the Messiah. Jesus Himself declared, “…No man comes to the Father, but by Me.” (John 14:6). Perhaps you may think that is dogmatic and narrow. I have to admit that it is; but it’s also the truth. It’s the only kind of belief system that will bring you to God. Now, you don’t have to follow the narrow road to salvation; you’re free to follow the broad road that most people are traveling to destruction. God allows you to reject the truth and believe anything you wish, or following any other (false) religion you prefer to His. God won’t stop you from making a mistake (that is where your free will comes in). But if you want to follow the only true way to God, you have to get on the right path or you’ll be lost. That’s just the way it is. Yahovah God has decreed that there is only one right way – through Jesus His Son. We cannot be saved by our own good works either. Performing good deeds and keeping the laws of God are always important, but they still cannot save us. They can never produce the absolute perfect righteousness that God requires. Only Jesus was sinless and perfect; His imputed righteousness through faith is what saves us. “Not by works of righteousness which we have done, but according to His mercy He saved us” -Titus 3:5. It is by “grace through faith in Jesus that we are saved. It is the gift of God, not of works, lest anyone should boast” – Ephesians 2:8,9. The minute you and I place our faith in Jesus’ substitionary death on our behalf, the way to God is open. It is the only way we can be saved. Jesus invited everyone to come to salvation. He said, “If any man thirst, let him come unto me, and drink.” – John 7:37. This is an all-inclusive invitation to all human beings. None are excluded except those who exclude themselves. The Lord Jesus gives only one condition: “If any man thirst.” If you’re thirsting for the truth and the only true God, He asks you to simply come to Him. He is the only One that can satisfy you. Pray this prayer right now with all sincerity…. If you prayed this prayer just now, please let us know. We want to rejoice with you and send you some free resources to help you grow in your new Christian faith. Simply contact us and provide your postal address where we can mail you the packet. Categories: GOOD NEWS, MESSAGES | Tags: 9, Christ, Christians, Ephesians 2:8, Evangelism, Good News, Gospel, Jehova, Jesus, Jews, John 14:6, Messiah, Monotheism, Muslims, One Way, Salvation, Tags: One God, Titus 3:5, Way to Eternal Life, Yahovah, YHWH | Permalink.